Sydney indie-dance outfit R&#220;F&#220;S have beaten prog rock outfit Dead Letter Circus to the ARIA Albums Chart summit this week with their debut album Atlas. In the first instance of new Australian albums debuting in the top two positions since April 2008 when The Presets’ Apocalypso and beat Cog’s Sharing Space to the top spot, Dead Letter Circus’ The Catalyst Fire has to settle for second. Atlas’ success marks a breakout year for the band and is recognition of the Sweat It Out label, which was founded by the late Adrian Thomas – aka DJ Ajax. As was predicted in midweek figures, Cloud Control’s Dream Cave was the other local debut in the top ten, arriving at nine. Other debuts came from UK outfit Asking Alexandria’s From Death To Destiny at 11, Bastille’s Bad Blood at 18, Charlie Pride’s 40 Years Of Pride 21, Backstreet Boys’ In A World Like This entered the top 50 at 30 after loitering in the top 100 and Diesel’s Let It Fly at 31. Pink’s strangle on the top spot appears to be over, as sales slow towards the end of her arena tour. The Truth Above Love slipped to three this week, ahead of Fleetwood Mac’s 25 Years – The Chain at four. Their Greatest Hits also jumps from 66 to eight this week, making it the first time since April 1997 when Fleetwood Mac last had two records in the top 10, which is pre-ARIA. After serving up the best experience of Sydney's Big Day Out (yes even better than you Mr West) ambient trip hop gods Röyksopp backed up to transport us to another world. Opening the night, after also stunning at BDO, was a three piece local outfit who have been creating a buzz usually reserved for female Scandanavian vocalists on the BBC Sound of the Year list. RüFüS, who seem to enjoy umlauts even more than the headliner, are comprised of Tyrone Lindqvist, Jon George, James Hunt. Together they provided some of the danciest indie rock I've heard by racing through songs from their debut self-titled EP. Sydney indie-dance outfit RUFUS will release their hotly anticipated ’Blue’ EP April 16th on Gigpiglet/Inertia Recordings on the cusp of their national tour co-presented by Stoney Roads, kicking off this Friday. Their newest single “This Summer” has been seeing high-rotation on Australia’s number one independent radio station Triple J and has led to an even greater profile for the young band. When talking about the release keys/synth player Jon Geroge detailed “We spent so much of the time we had in the studio trying to mix and translate our new songs in the right sonic space, scanning every frequency range to create the complete aural experience that we were hoping for. All three of us ended up sleeping on the floor and couches in the studio fairly often– we couldn’t leave it be, it was an all-consuming beast, “ says Jon George(Keys/Synths/Percussion). “You’ll hear a lot of experimentation with recording and mixing techniques; some more hi-tech than others…,” Jon adds. 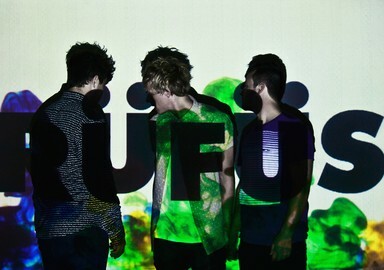 RüFüS are a three-piece outfit from Syndey who mix live percussion with deep Disco electronics with almost dreamlike results. The trio have just released their début EP, titled ‘RüFüS’, and what you’ll find amongst the six tracks is an organic, evolving, take on Electro and DiscoPop. Vocally comparable to Fenech-Soler, the music is much deeper and analog sounding. In addition to the organic feel of the music there is a layer of sampled recordings the trio took from the forest and the beach used in ambient and percussive ways that just adds to the elemental feel of the songs. Don’t get me wrong, this is top quality ElectroPop, a must listen for any fan of synth music, but there is something much more, well…human, about the music than your average dance track. It’s as if the music was grown rather than written. Still going to tear up your local Indie-Electro dancefloor in 2011 though! france’s on the fruit records washes its hands before dinner over a very fine debut release from australia’s newest melancholic pop outfit, rufus. One of the most exciting and underrated bands in Sydney at the moment is three piece Rüfüs, who have just sent over a sterling new track they've completed with their friend (and talented up and comer in her own right) Elizabeth Rose. What began as a cover for their live show has morphed into something else entirely, with Rüfüs taking inspiration from Rose's original and recording a version that sits somewhere between cover and remix. Live drums, new synth lines and fresh vocals, the band even got Elizabeth involved to redo her part for the song. You can listen to the track in the Youtube clip below, but it's also a free download available for one and all from the band's Triple J Unearthed page. 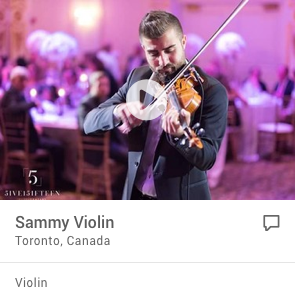 If it takes your fancy you can also contact them over there to get your hands on a high quality DJ edit if you're of the nightclub inclination. I like pleasant surprises, and RÜFÜS definitely fall into the very pleasant surprises category. Turning up early before another gig, I was blown away by them playing as the second supporting act of the night. 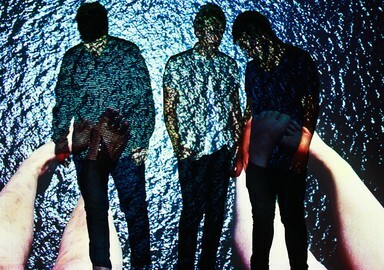 Combined with a stellar stage presence, big things are expected of this Sydney three-piece. Their Scandinavian roots are extremely evident, giving their songs a fresh feel, and their music has been put on high rotation around Europe. International men’s fashion house HUGO BOSS are also featuring the aforementioned “Paris Collides” on their February playlist. The uniquely icy, haunting beats pierce the soul of the listener. Their production on the album is fantastic and the translation from music to their live show is seamless, with talented drummer James Hunt being recruited by Jon and Tyron to complete the group. With a big year of touring and writing ahead of them, expect to hear more of these three very shortly. There is something about these guys that seems to make s*#t happen. #1 debut album. Sold out parties in NYC, in front of band members from LCD Soundsystem. Skateboard riots at the Bake & Destroy premier in L.A. Main stage festival appearances as far away as Moscow. Multiple sold out tours in their home country of Australia. Remixes and originals for tastemaking labels Kitsuné (FRA), Sweat It Out! (AUS) and Plant (USA). They found each strapped for cash and escaping the elements one rainy Byron Bay evening. They decided to spend the night writing music. The next morning they had a song. In the following weeks they wrote more songs and started to like what they heard. It was time to put together a band. They made enough noise to get the attention of the late Australian Dance Legend, DJ Ajax, who signed the band to his label, Sweat it Out in early 2013. The guys worked night and day to put the finishing touches on their debut album, ATLAS, which debuted at #1 in the Australian album charts (August 09, 2013). The album’s first single, Take Me, reached the #2 most played spot on Triple J. While the smooth follow up single ‘Desert Night’ took out the #1 spot on the hype machine charts and earned the guys an invite to play Art Love festival in Moscow. Their Australian album tour in September is all but SOLD OUT, and they have earned themselves national touring spots on the Listen Out festival, Falls Festival and Big Day Out 2014 festival. 2014 Will see the band relocate to the Northern Hemisphere to tour ATLAS and start work on their follow up album.